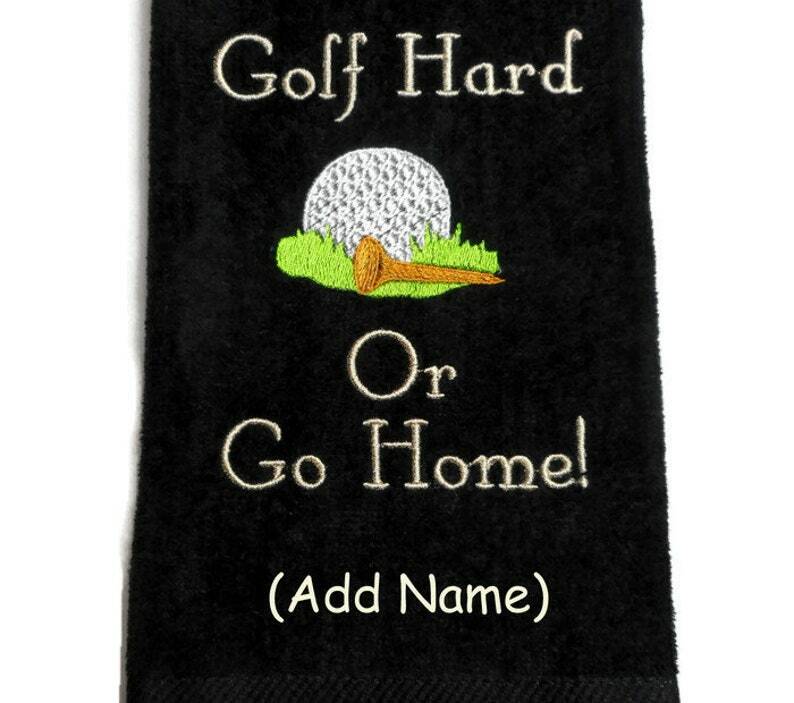 This embroidered golf towel is a very funny gift for the golfer. Premium quality golf towel made of 100% cotton with plush velour finish. There is a golf ball and tee on grass with a funny saying embroidered, Golf Hard or Go Home! The design measures approximately 4.95w X 4.25h inches.